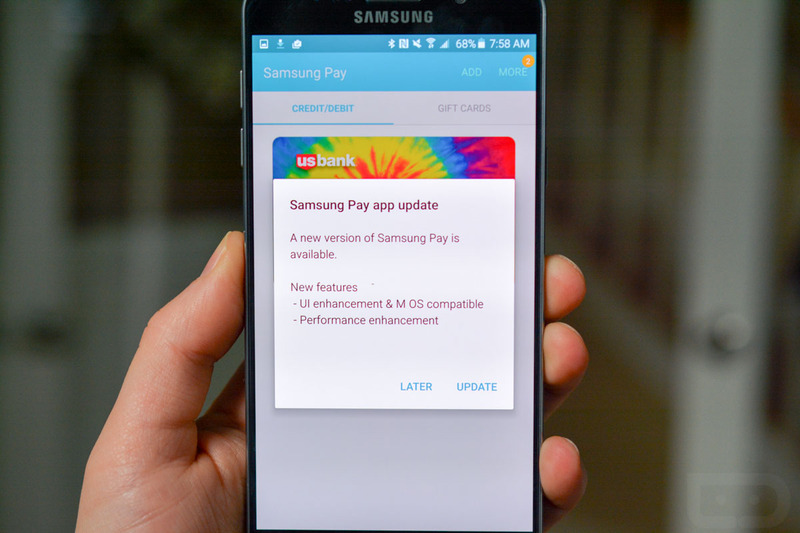 Samsung is pushing a new update to Samsung Pay this morning that gets the mobile payment service ready for incoming device updates to Android 6.0 Marshmallow. The update showed up on my AT&T Galaxy Note 5, which has recently seen a beta test kick off for Android 6.0. Hopefully, this means that Android 6.0 is arriving momentarily.